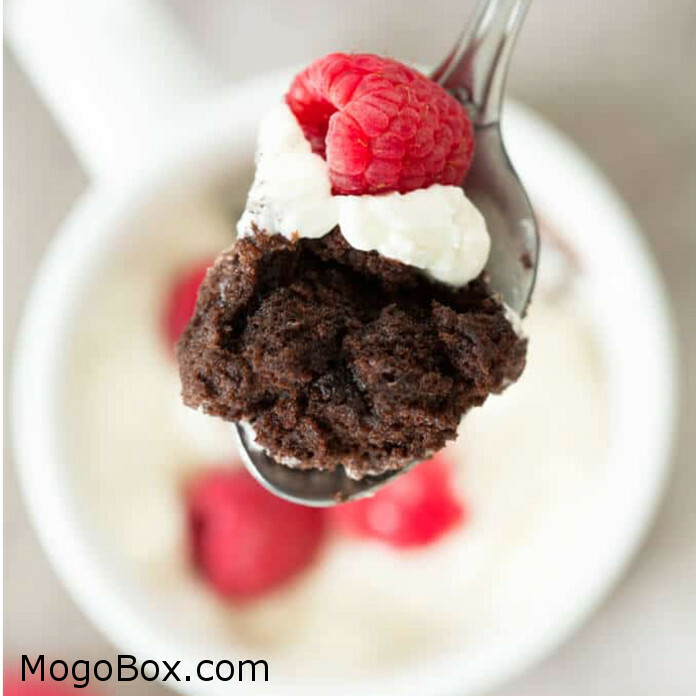 MogoBlog MogoLicious Tasty Tip of the Day: Gluten free moist and tender chocolate mug cake is made in 1 minute in the microwave. A moist and tender gluten free chocolate mug cake can be done! It’s meant to be microwaved for just about 1 minute at 1000 watts (you can easily adjust any microwave down with power levels). Grease microwave-safe mug or mason jar with at least an 8-ounce capacity and set it aside. In a small bowl, place the flour blend, cocoa powder, baking powder, salt and sugar, and whisk to combine well. Add the butter and milk, and whisk until well-combined and smooth, working out any clumps of cocoa powder that may have formed. The batter will be smooth and thickly pourable. Pour half of the batter in the prepared mug or jar, add the 3 chocolate wafers or chips, and cover with the remaining cake batter in an even layer. Place the mug in your microwave oven and cook at about 1000 watts for 1 minute. * Test with a toothpick to see if it comes out clean. If not, cook for up to another 20 seconds at about 1000 watts. Allow to cool briefly before serving. It is important to be able to approximate 1000 watts of power in your microwave oven. My microwave is 1200 watts, so I either microwave the cake for up to 1 minute 20 seconds at 80% power, or closer to 1 minute at 90% power. This entry was posted in MogoBlog, MogoLicious and tagged #MogoBlog, Chocolate Cake, Gluten-Free, MogoBox, MogoLicious, Mug Cake.